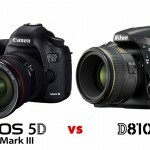 Home / Digital Camera Comparison / Canon Rebel T5i vs T6i vs T6s, what’s the difference? The T6s is an upgraded product of the T5i. 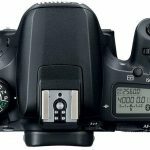 Canon has released a total of two replacement products for the T5i, which are the more advanced T6s and more entry level T6i. Unlike the T5i, which almost didn’t upgrade the T4i at all, Canon has taken a lot of care in the upgrade of the T6s. The T6s is the best entry-level SLR camera of the Canon line, if not the best of the SLR camera market, because it has promoted the manipulation of the entry-level SLR camera to a new level. The T6i and the T6s can be considered as two different models of the same product. While the T6i follows the model style of the classic Canon XX0D series in manipulation, the T6s takes the 70D as an example, as it is not only equipped with a top LCD display but also has an installed Quick Canon Control dial, forming the classic double-command dial control style of Canon. The T6i is $100 cheaper than the T6s in listing price. Because the top info LCD and Quick Control dial will completely change our habit of shooting, I think in situations where the buyer is not terribly price sensitive, we should select the enhanced version of the T6s instead of the T6i. First, the T6s uses a new 24.2 million-pixel sensor, increasing the pixels of Canon APS-C cameras from 18 million pixels that has remained unchanged for years as the standard in the mainstream level of the market. Although 18 million and 24 million pixels do not mean much difference for most people, it helps to change the perception that Canon has become slightly weak when it comes to sensors over the past few years. Of course, the most important question is whether this 24.2 million-pixel sensor can achieve the same level of imaging as Sony’s sensor. In fact, what we hope to see is not the increase in pixels, but the progress in core parameters such as dynamic range and so on. At the same time, the T6s is equipped with a new 7560 pixel RGB + IR metering sensor, which can improve the quality of metering, and can especially help the autofocus module achieve better focus. It’s also equipped with color tone detection, which helps ensure the correct focus and exposure of the objects being photographed. The T6s and T6i use the latest Digic 6 processor which, when compared with the Digic 5 processor used by the T5i, improves AF speed and reduces lag while providing better low-light shooting performance. 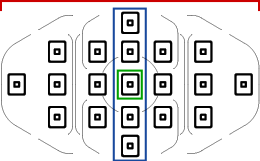 The ISO range is the same as that of the T5i, which is 100-12800, expandable up to 25600. 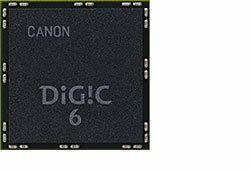 Canon T6i/T6s uses the Hybrid CMOS AF III focus system in sensor which it claims is closer in performance to the Dual Pixel AF that the 70D and the 7D mark II use. This new sensor-based phase detection AF system helps to achieve faster and more accurate autofocus in Live View mode while shooting HD videos and photos. It is very helpful for shooting the kids as they are playing, wild animals, and sports scenes. In the T6s it also supports the Servo AF in live view. This means you can perform continuous AF for moving subjects to ensure that any exciting moments will not be missed. In addition, the T6s is equipped with the 19-point all cross-type AF system that the 7D and 70D used, saying goodbye to the 9-point all cross-type AF system that accompanied many generations of cameras (including the T5i). This is very helpful for photographers who prefer to compose their images through a viewfinder. We cannot ignore the fact that the T6s used an unprecedented design that includes the two control elements, the top LCD panel and Quick Control dial, in this level of camera while maintaining small stature. That is to say, the T6s basically uses the same manipulation style as the cameras above the level of Canon 70D. I have actually never understood why the entry-level SLR camera must make sacrifices in manipulation. When I see the Fuji X-A1, I always feel that this strategy is wrong. Canon is finally telling us that the entry-level cameras can also give us a professional handling experience. I think this is the outstanding advantage of the T6s. Many people doubt whether the top info LCD has any effect. To be honest, I doubted myself whether a top LCD screen was needed on cameras equipped with an LCD monitor. I cannot replace the top screen with the LCD monitor due to my own shooting habits. The top screen shows less information, which makes it really very convenient to observe, so I belong to the group that is more reliant on the top screen. With the help of the top screen and Dual command dial together, you can very easily control all the shooting parameters, and this is the function that was unavailable in the previous entry-level SLR cameras. I think that the T6s has elevated the entry-level SLR camera to a new level, although this was a long overdue step. In addition, the T6s inherits the major style of the T5i, including the fully rotatable touchscreen. One big advantage of phone cameras is that you can share at any time, and now the camera is not to be outdone in this regard. The T6s/T6i has a built-in Wifi supporting NFC function, and it is also the first SLR camera equipped with NFC function. 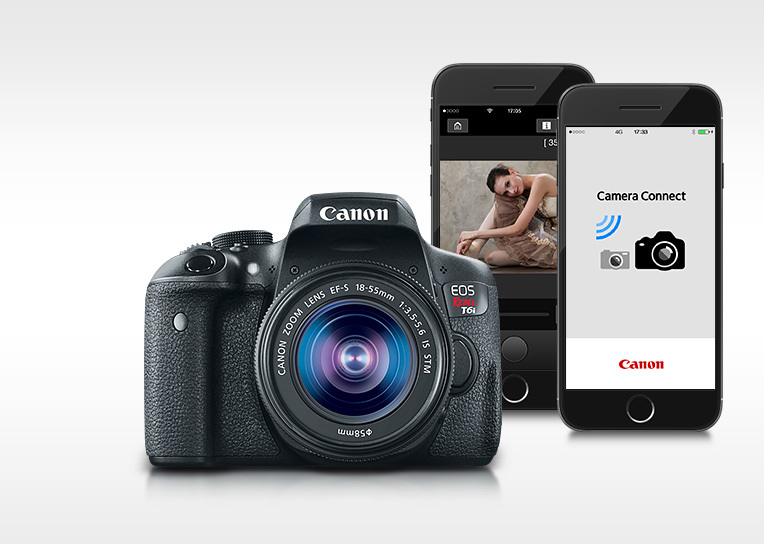 Using the Canon Camera Connect app it can transmit and share photos very conveniently, just like a mobile phone. With NFC, we can easily transmit and share photos through the phone’s remote control camera. If you set up Canon’s Image Gateway service, you can comment on the photos and share them in social networking sites directly from the camera, which is really convenient. Thanks to Digic 6, the T6i and the T6s now have better video performance. Both models feature EOS Movie mode, can shoot HD videos in MP4 format as high as 30fps, and can very conveniently share them on social networking sites. The T6s also has the ability to shoot HDR videos in real time, which is a very practical feature for film makers. T5i vs T6i vs T6s, How to choose? The entry-level SLR cameras have evolved to the point which we could not imagine in the past in performance and function, and the T6s is even better. With excellent autofocus system and professional camera manipulation, the T6s will undoubtedly become the best choice for most of the people who want to study photography, or take photography as a major interest after its launch. If the overall imaging performance of the 24.2 million-pixel CMOS of Canon can reach the level of Nikon D5500, then the Canon T6s will beat the D5500 in the competitions of this level, it was unimaginable in the past that a camera of this level had such a wealth of features and manipulations. 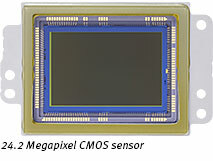 Even if the imaging performance of this CMOS is similar to the 18 million-pixel CMOS, it does not prevent the T6s from becoming an attractive option because not too many people are able to feel these differences in picture quality in practice. Moreover it integrates the professional manipulation within a compact and stylish body. Unless you are very sensitive to price, or there is no reason to choose the simplified version of the T6i (See Price on Amazon) but not the T6s; if your goal is the 70D, then please compare the T6s with the 70D. The camera at the 70D level will be in a more awkward position in the market in the future, especially in the case that it has the T6s below it, and the 7D Mark II above it. Previous Is Panasonic developing a full frame hybrid camera? Amazon lists the T6 as having 9 point focus not 19 as you say here. Can you verify? Thank You! My Canon T2i was recently dropped 2 1/2 feet onto a carpeted hotel floor and lcd screen died! Surely I’d have switched to Nikon if not for the Canon lens collection I now own. Kinda leaning to T6i, guess I’ll upgrade now the hard way! I tried Canon 7D and return it, too heavy for me. What I like light weight camera so you can use external flash 580 EII on camera. Last thing WIFI NFS, good to have it. But, I would say T3i, T4i, T5i, t6i and T6s, they all are good cameras. If you know, how to shoot picture then you can take amazing pictures from any of these DSLR camera. People like me prefer Canon, because tons of professional Lenses, new and used are available. Tons of books and videos are also freely available. So does the t5i have wifi??? I’m trying to buy my daughter one for Christmas and can’t decide between t5i and t6i. She had mentioned liking the wifi and quick uploading to her phone ability. Thoughts?? You should choose the t6i version, The T6s/T6i has a built-in Wifi supporting NFC function, you can transmit to phone and share photos very conveniently. I’m so excited for the T6S. I still have the 8 megapixel rebel xt. I too still have the 8 megapixel Rebel. I LOVE my camera but have no choice but to upgrade as mine recently got broken. Have you upgraded and did you get the T6S? I am still a little undecided if I need the T6S or if the T5 will suffice.